Krennerite is an orthorhombic gold telluride mineral which can contain variable amounts of silver in the structure. 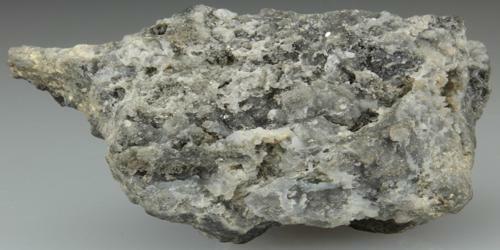 It is a mineral consisting of a gold telluride also known as white tellurium. The formula is AuTe2 varying to (Au0.8,Ag0.2)Te2. Both of the chemically similar gold-silver tellurides, calaverite, and sylvanite, are in the monoclinic crystal system, whereas krennerite is orthorhombic. 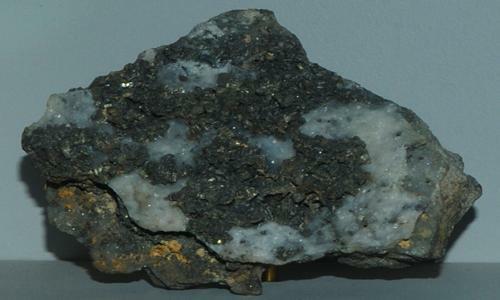 It is an uncommon mineral that occurs with other tellurides in hydrothermal veins. Krennerite was discovered in 1878 near the village of Săcărâmb, Romania, and first described by the Hungarian mineralogist Joseph Krenner (1839–1920). There are only a few minerals that contain gold in their structure. The rare mineral Krennerite is one of them. The color varies from silver-white to brass-yellow. It has a specific gravity of 8.62 and a hardness of 2.5. It occurs in high temperature, hydrothermal environments. Occurrence: In hydrothermal veins with other tellurides. Krennerite is a polymorph of Calaverite and occurs in the same localities as Calaverite. They may even occur together on the same specimen. Localities include in Romania, Russia, Kazakhstan, the USA, Canada, Australia, Fiji, and Japan, among a few others. Association: Calaverite, coloradoite, sylvanite, krennerite, petzite, hessite, tellurium, gold, pyrite, quartz.